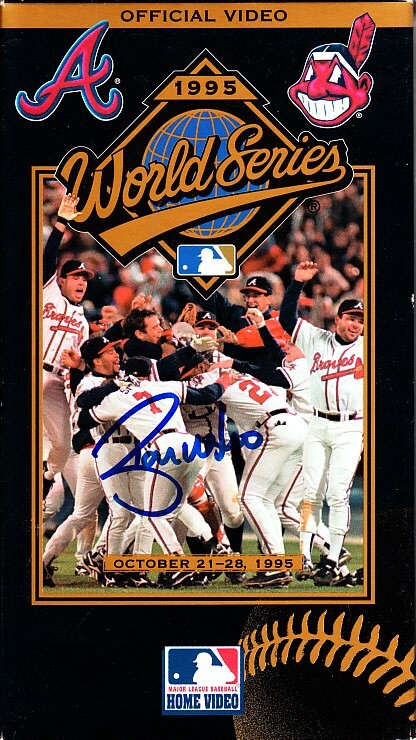 1995 World Series official VHS video autographed on the box cover in blue marker by Ryan Klesko, a key member of the winning Atlanta Braves team. Obtained in person at San Diego appearance. With certificate of authenticity from AutographsForSale.com. Has very minor wear. 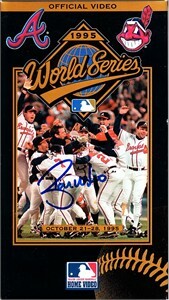 Videotape is included but not autographed. ONLY ONE AVAILABLE FOR SALE.